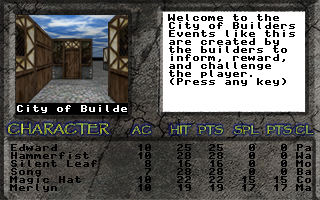 Bt Builder is an open source implementation of the Bard's Tale Construction Set. The eventual goal is to make a game builder that can implement the three main Bard's Tale games in addition to Construction Set games. Other possible extensions include Wasteland and Dragon Wars. The editor file formats and custom pictures have been deciphered. At current we do not intend to decipher all file formats instead a new free collection of graphics and sounds will be included with the game. 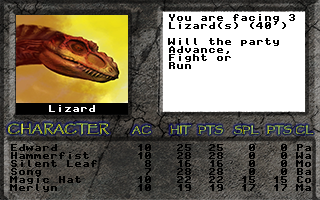 The game interface is fairly usable at the moment. The eidtor is usable but not very user friendly. Some elements are not editable from the UI yet. Questions or comments can be sent to dulsi@identicalsoftware.com.